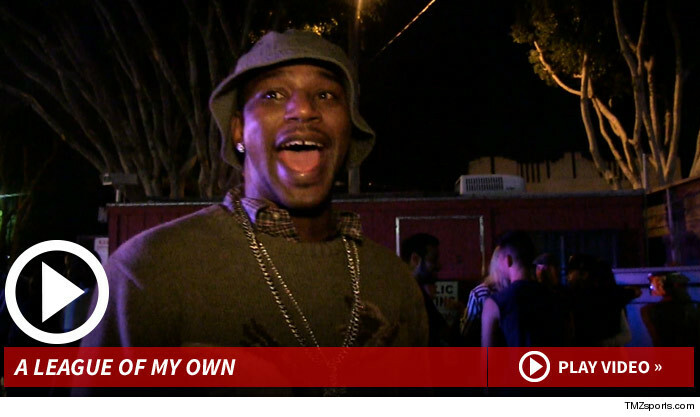 Before Cam'ron became a huge rapper … the guy was real-deal basketball prodigy — and he tells TMZ Sports he believes he had the talent to take his skills to the pro level. Cam'ron was heavily scouted back in high school (back when he played with Mase) … but reportedly didn't have the grades to accept the scholarships that were coming his way. Instead, he became a rapper … and the rest is history. But Cam'ron says his skills were legit — and back in his prime, he has no doubt he had NBA talent.